Do you want more comfort and flexibility in your everyday life? Then the maveo NASSAU’s new accessory product is for you. You can easily open and close your NASSAU garage door via the maveo app. 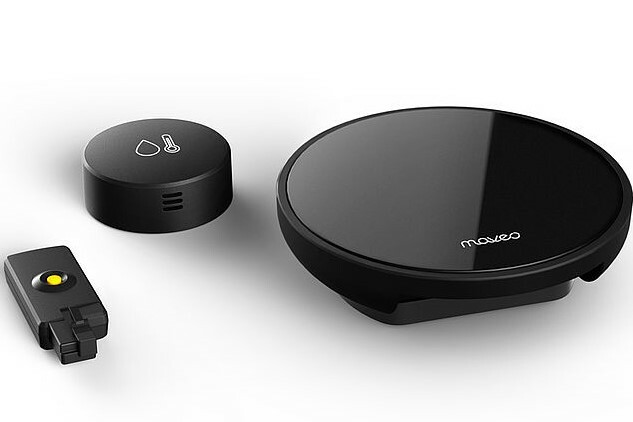 You can use maveo as an extra remote control, which you always have at your fingers. In addition, it can be used as a monitoring system when you are not at home. Are you unsure whether or not you forgot to close the garage door, you can use the maveo app to make sure your garage door is closed. You can do this both at work, when you are on holiday or at a third place. At the same time you can close and open the garage door when you are not home. You can create scenarios that tell maveo what to do, where you use timing then you can set your garage door to close at a desired time. It can therefore be adapted to your individual needs. NASSAU’s new accessory product helps create an intelligent home. maveo can easily be integrated with, for instance, Philips Hue smart lighting or Netatmo weather station, allowing you to have all the important information gathered on your smartphone. The app is constantly being developed so it is updated with new improvements. With a sensor from maveo you can measure the temperature and humidity of your garage. If the humidity or temperature becomes too high, your garage door is opened, for example, by kipping. The kip-function is a setting where your garage door opens a little to vent out. It is simple and easy to install maveo and it is compatible for both Android and iOS. With a maveo starter pack, simply plug the box into a standard electrical outlet and plug the included plug into the engine of your garage door. Afterwards you download the maveo app, where you can then see our guide on how to set up your garage door. It is important to note that you must use the starter kit, where both a plug and a box are included. If you have several ports, you can buy more connectors. We also made a starter kit, where the maveo sensor is included.